Did you know that WhatsApp allows you to hide your Status posts from certain contacts? Our guide will show you how this works. Note: These screenshots were captured in the WhatsApp application on iOS. Also note, this process is a bit different on iOS and Android. Step 1: On iOS, tap “Status” in the bottom-left corner of the screen. On Android, go to the Status screen. Step 3: You have two privacy options to choose from. 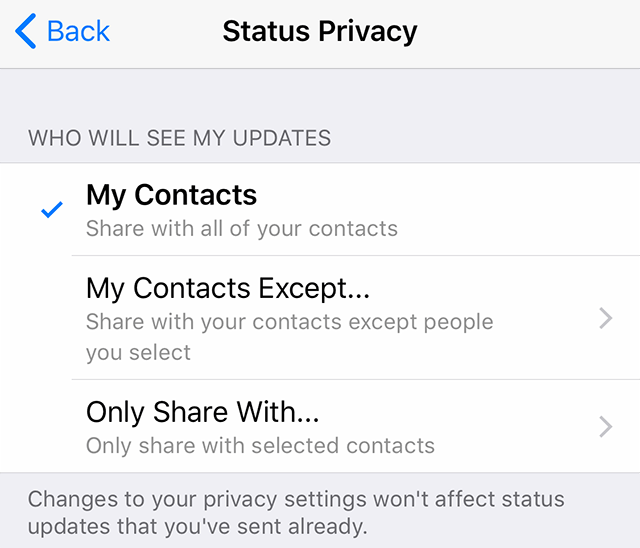 Tap “My Contacts Except … ” if you want to hide your Status posts from certain contacts. 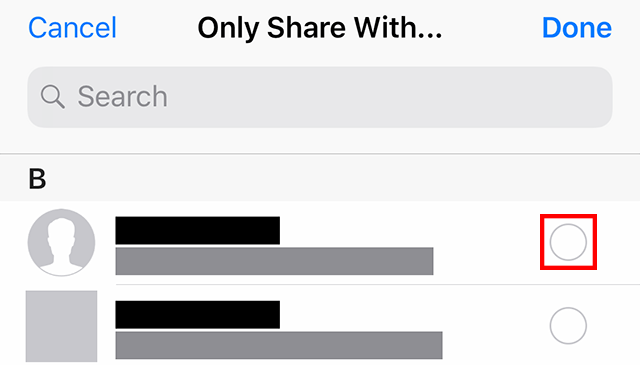 Tap “Only Share With … ” if you want to create a list of the only contacts who will be able to see your Status posts. In this case, if you don’t add a specific contact to this list, they won’t be able to see your Status posts. 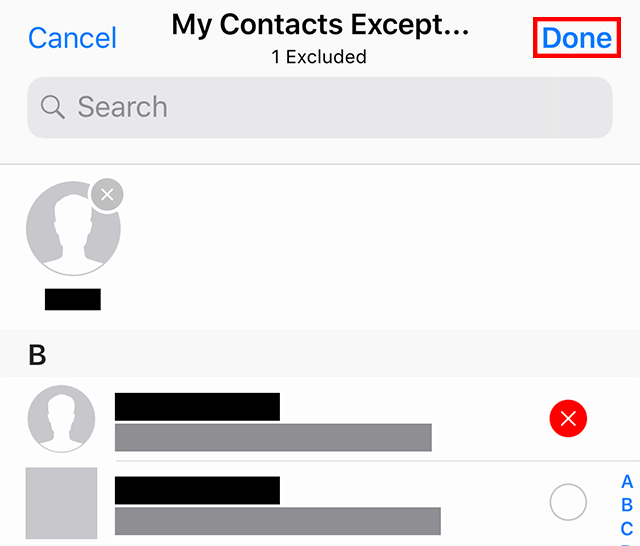 Step 4: If you chose “My Contacts Except … ” in Step 3, tap the circle to the right of each contact you wish to hide your Status posts from. 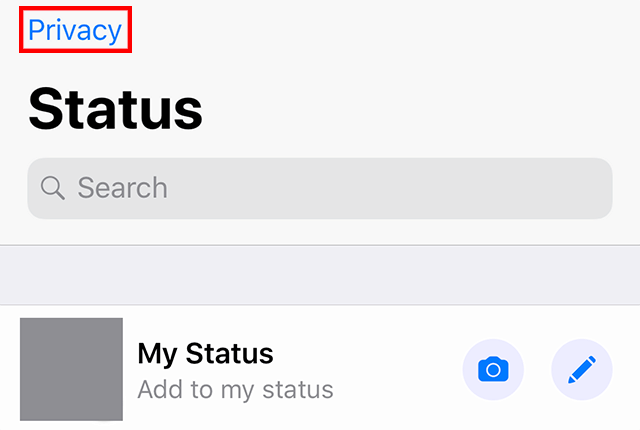 If you tapped “Only Share With … ” in Step 3, tap the circle to the right of each contact you wish to be able to see your Status posts. Any contact you don’t select won’t be able to. Note: With both options, you can either scroll through your list of contacts to find the users you wish to select, or tap the Search bar at the top of the screen to search for contacts manually. Step 5: On iOS, when you’re done selecting users for either privacy option, tap “Done” in the top-right corner of the screen.